SPW introduces Tannenberg: The Introductory Game as an inexpensive and easy way to get into the Der Weltkrieg series. For a low price you can experience for yourself why so many view the Der Weltkrieg series as among their favorite games. Watch the introductory videos on the SPW Website, and quickly get into one of the most playable and innovative systems available. The Der Weltkrieg series covers all of World War One in Europe and the Middle East using a standardized rule system. So by learning how to play Tannenberg, you will know how to play any of the other games in the series. The Der Weltkrieg series uses simple yet innovative systems to model World War One. 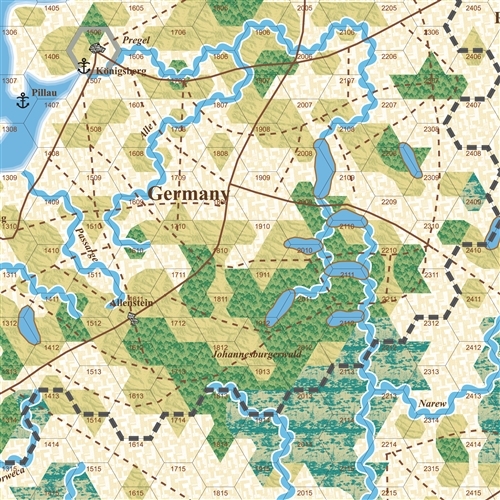 Der Weltkrieg maps use hexside based terrain, rather than the more common hex based depiction. This triples the amount of terrain information on the map. Those that play the game find the maps intuitive and easy to navigate, and you will too. 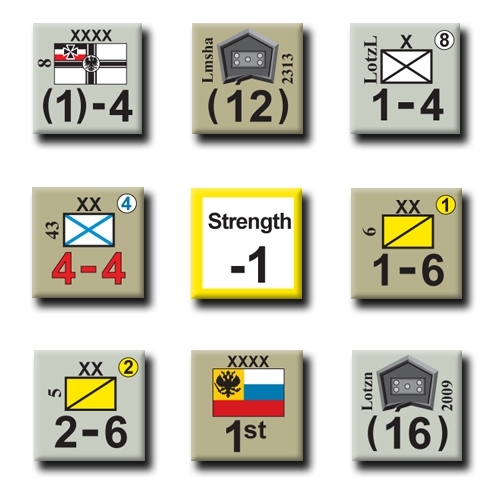 The Der Weltkrieg combat system takes into account each and every strength point brought to bear. No more frustration with not having that last strength point to reach the next higher odds column on a Combat Results Table. 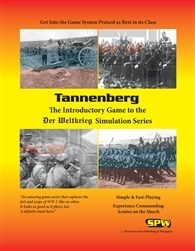 Tannenberg: The Introductory Game is a great way to get first timers into wargaming. The rules are short, and to the point. The video tutorials are an easy way to learn the rules while watching along. The videos use multiple examples straight from the game. Watch them now and see for yourself. Get a copy of Tannenberg: The Introductory Game, and experience for yourself what others are raving about.